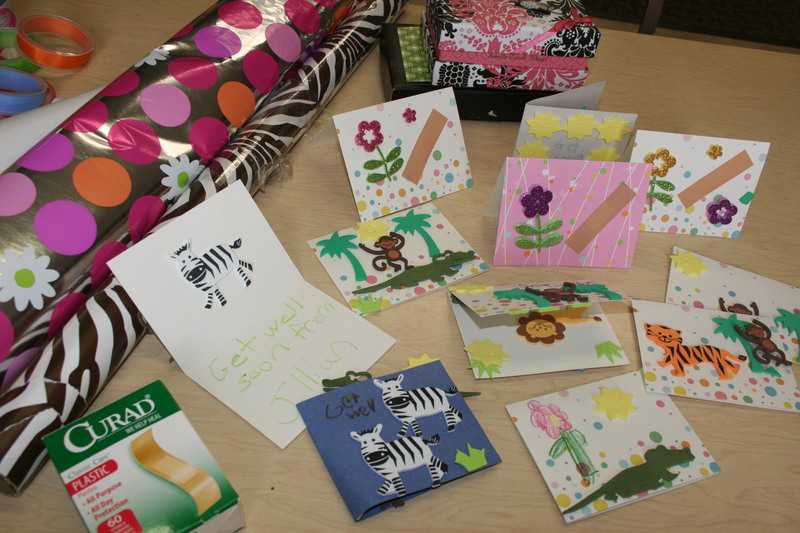 Make table tents for hospital patients. We start off with card stock paper or blank cards. 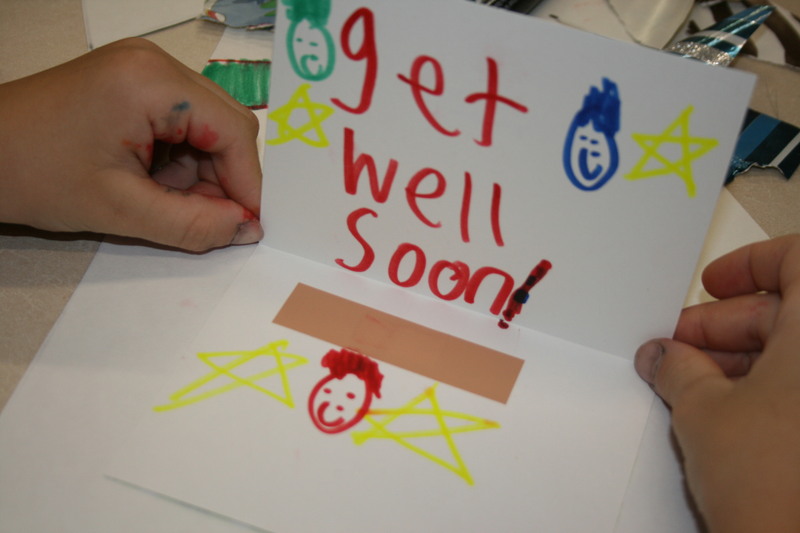 Then DeCoRaTe with foam stickers & bandaids, sign our name, and wish them well. I deliver them to our town’s hospital where they are placed on patient’s meal trays. The hospital PR person tells me they especially like to receive them on holidays such as MoThEr’s DaY, FaThEr’S DaY, Christmas, etc. It’s easy and is a simple way we can give to those less fortunate than us! !